I first heard of Indie Game: The Movie while I was watching CBC News at work. I was gobsmacked. A documentary about video games, made by Canadians that was critically acclaimed at the Sundance Film Festival. What!? Indie Game follows four different independent game developers: Jonathan Blow (developer of Braid), Ed McMillen and Tommy Refenes (developers of Super Meat Boy) and Phil Fish (developer of Fez). With Ed, Tommy and Phil, we follow their lives as they attempt to get their games developed and launched. We see their struggles with the industry, and their David and Goliath attitudes as they try to get their games out. They each provide their reasons for why they’ve given up everything they have to develop games. With Jonathan Blow, since his game was already released, we get a more reflective perspective. 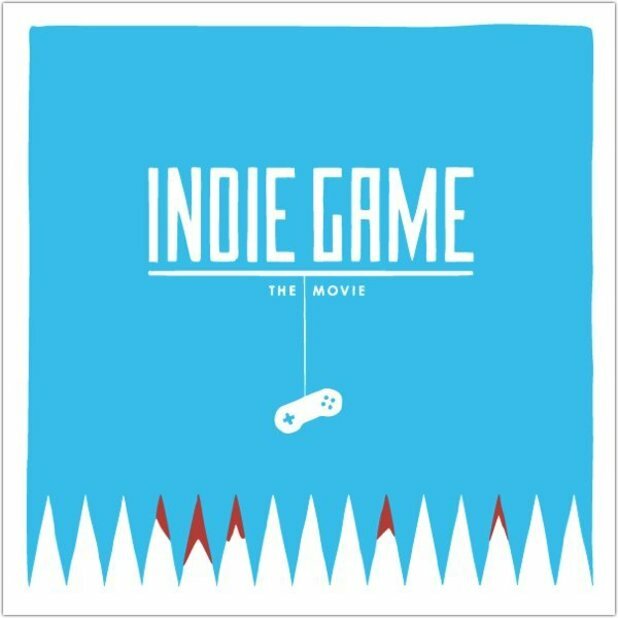 Overall, Indie Game: The Movie was enjoyable. Technically, it was a very sharp, clean looking documentary. I’m quite sure much of my enjoyment comes from being a gamer and having that respect for the industry. I just wonder how a non-gamer would view it and what they would take away from it. Regardless, the way that the documentary was shot and cut broadens the audience appeal. What makes it relatable is the emotional hook. Be it video games or not, everyone has something that they feel passionate and deeply about. In Indie Game, you’re there with them through struggles, heartaches and triumphs and you want to see them succeed. I think the biggest problem I had with the movie was that the 3 perspectives that they followed were for the most part, success stories. All 3 of the games from the different developers were critically acclaimed games that sold well (in the case of Fez, critically acclaimed at the time – sold well post-movie when the game was finally released). I’d love to have seen an indie developer who’s game wasn’t critically acclaimed, who’s game didn’t sell well, where they drew inspiration, what they had hoped to achieve and how life continued on for him or her afterwards. That sort of thing. For every success story, there’s probably a hundred or maybe thousands of un-successes. It would have been nice (although, I bet heartbreaking) to see the flipside. I think that would have been a more honest look at the indie game industry. It’s not always sunshine and lollipops afterwards. Whether you’re a gamer or not, I recommend Indie Game: The Movie for the human story that’s told underneath the surface. Later geeks!